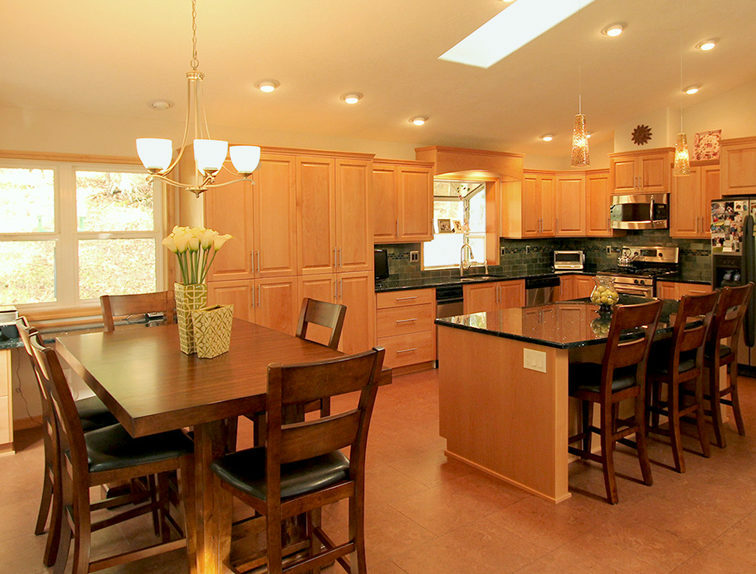 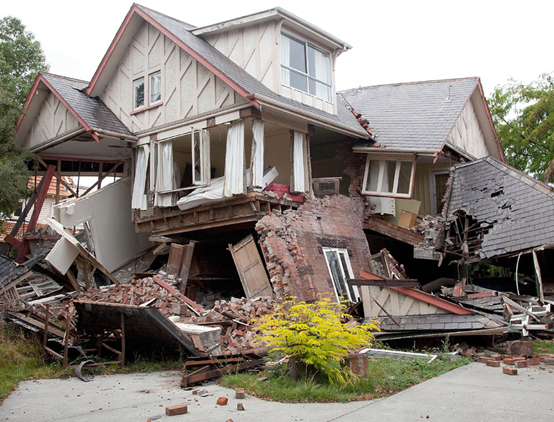 When Jeff and Denise came to us, their Grand Oaks kitchen lacked function and style. 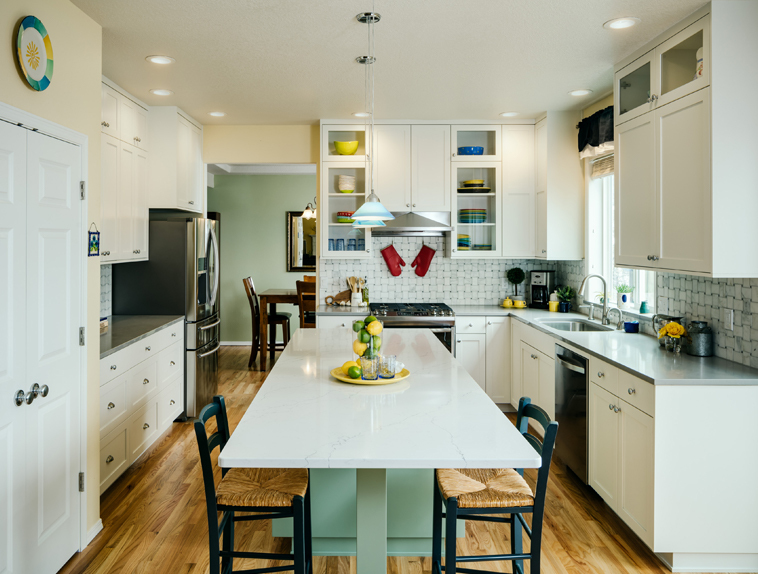 We replaced a peninsula with an island, raised the upper cabinets to the ceiling, built a recessed niche so a full sized fridge could slide back to counter depth, and widened the kitchen to dining room opening. 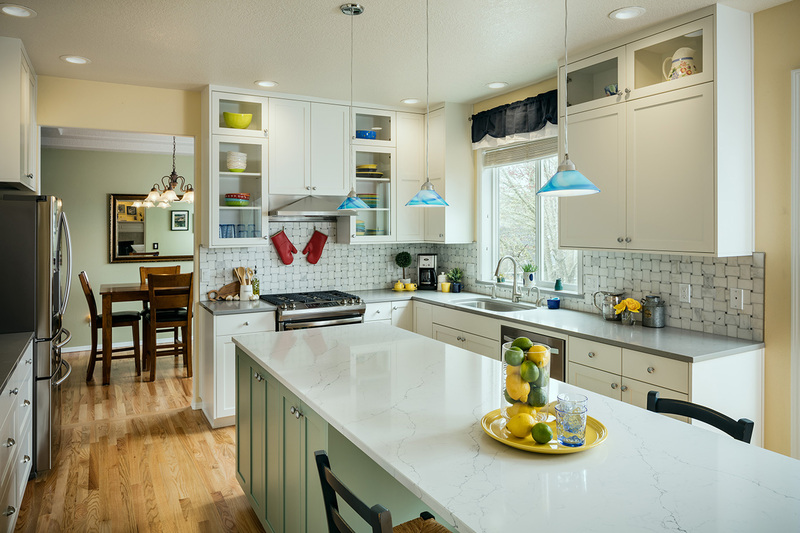 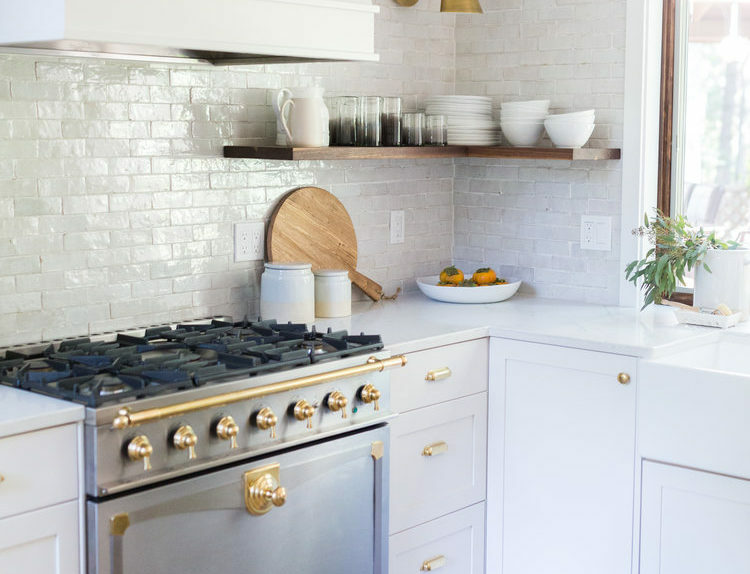 All this and more makes for a much more spacious and inviting kitchen. 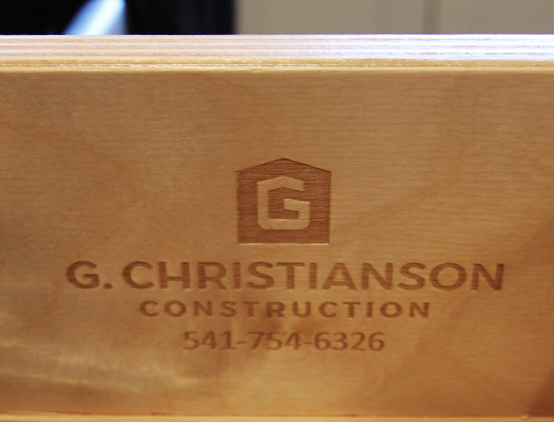 Our custom cabinets are built with the highest attention to detail. 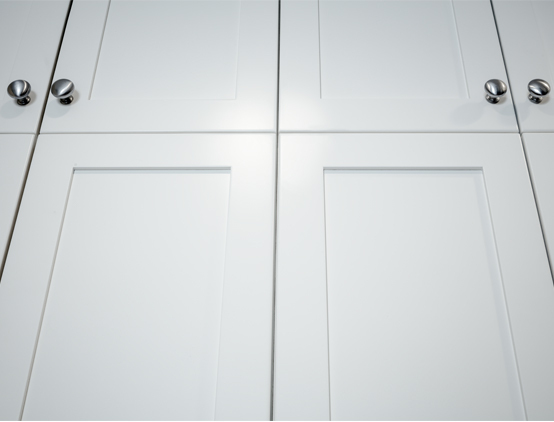 These cabinets are painted with a conversion varnish finish, the most durable, water resistant finish on the market today. 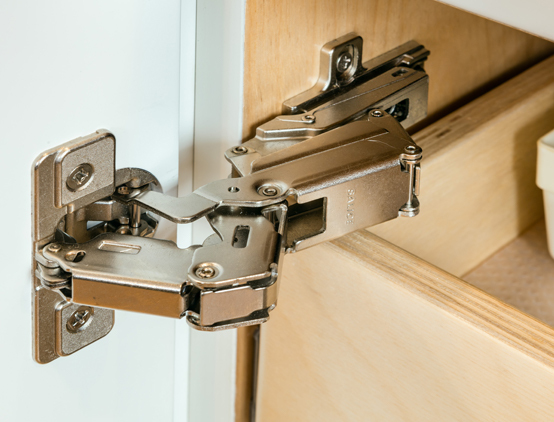 We use top of the line Salice, "soft-close" hardware on all of our doors and drawers. 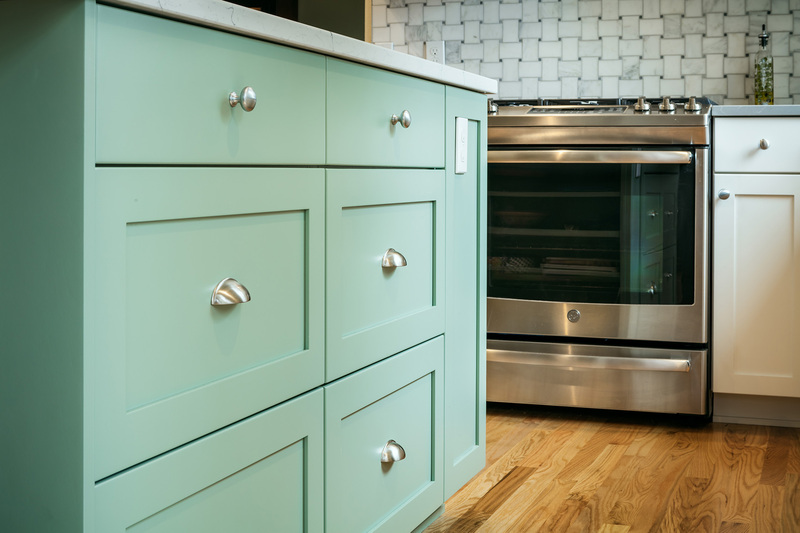 All of our projects include an on-site meeting with our in house designer and customer cabinetry builder. 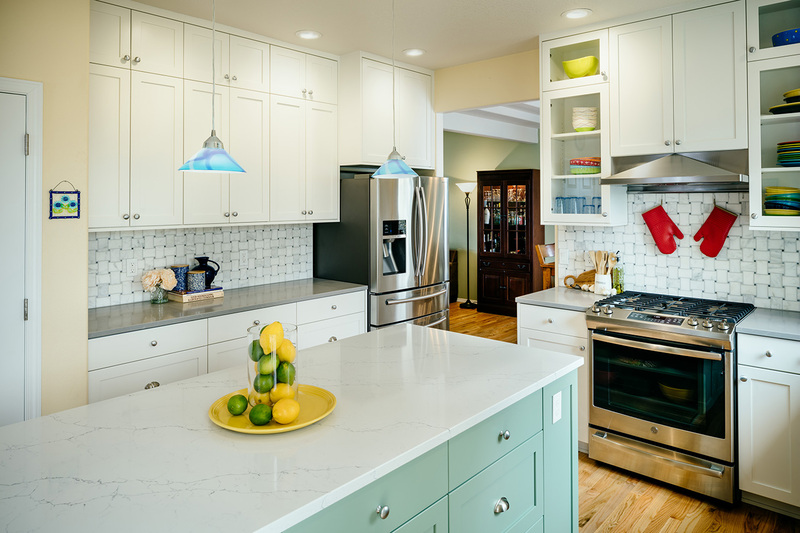 We walk you through cabinet by cabinet to ensure your wants, as well as your needs, are met.